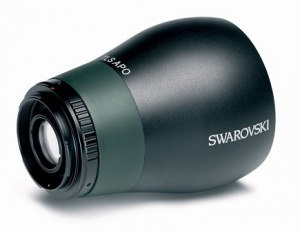 The right choice for anyone who appreciates top-quality digiscoping, the TLS APO 30 mm camera lens was developed as a complete system with the ATS/STS/ATM/STM spotting scopes. Its excellent optical quality makes it particularly attractive to the most discerning digiscopers who want to use single-lens reflex cameras. The TLS APO 30 mm is supplied without the T2 adapter ring for Canon, Nikon and Sony SLR cameras.